Sprockets – the gear-like toothed cogs that rotate to keep roller chains and conveyor chains in motion – are an integral part of any power transmission mechanism. They are a necessary element of machinery in many industries such as manufacturing, mining, marine, agriculture and many more. 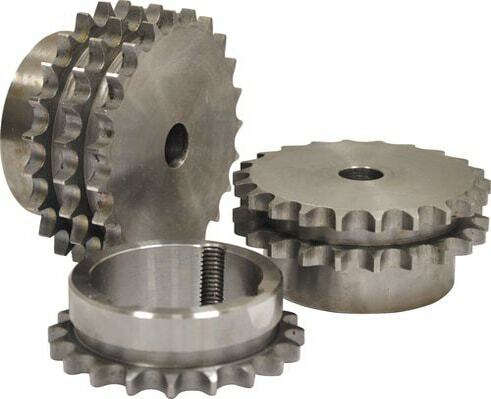 We have a range of sprockets to suit both American and British Standard roller and conveyor chains, as well as simplex, duplex or triplex styles. 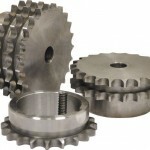 Choose from a range of standard pilot bore as well as taper lock sprockets. Statewide Bearings distributes only the highest quality sprockets from leading brands. 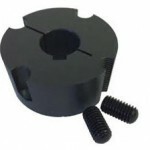 All of the sprockets we distribute have been flame-hardened to increase their strength and durability. This flame-hardening process is particularly important to strengthen the area around each of the metal teeth on the sprockets, lengthening their lifespan and ensuring their reliability. Statewide Bearings also distributes a full arrange of roller chains and conveyor chains to work with sprockets of any size and dimension. Check out our range of roller chains here.